In 1968, the Apollo 8 astronauts became the first humans to see the Earth as a whole. Ever since, spacecraft and satellites have been delivering new perspectives on our planet. 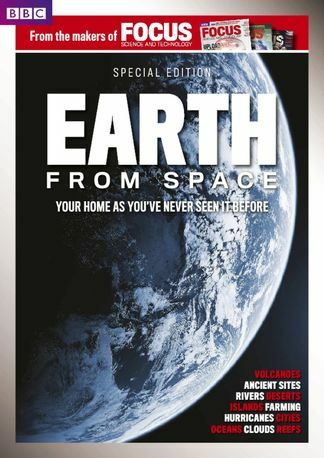 Today, Earth is constantly observed, and this special edition of BBC Focus Magazine – Earth From Space – presents the most beautiful, poignant and revealing images of your home as you’ve never seen it before. Be the first person to tell us what you think about BBC Focus Magazine present Earth from Space and you'll save $5 on your next purchase!